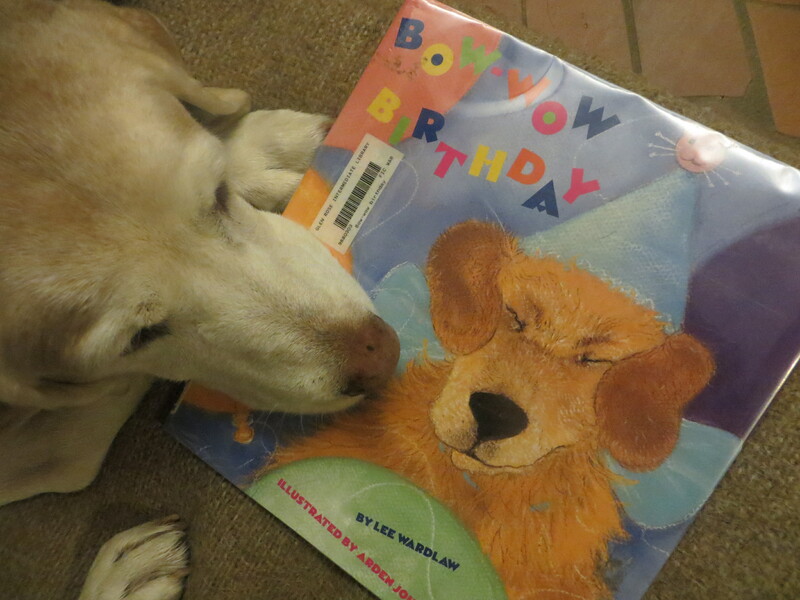 This entry was posted in birthdays, children's books, reading dogs and tagged Arden Johnson-Petrov, birthdays, Lee Wardlaw, reading dogs by readingwithrhythm. Bookmark the permalink. Happy Birthday, Rhythm! 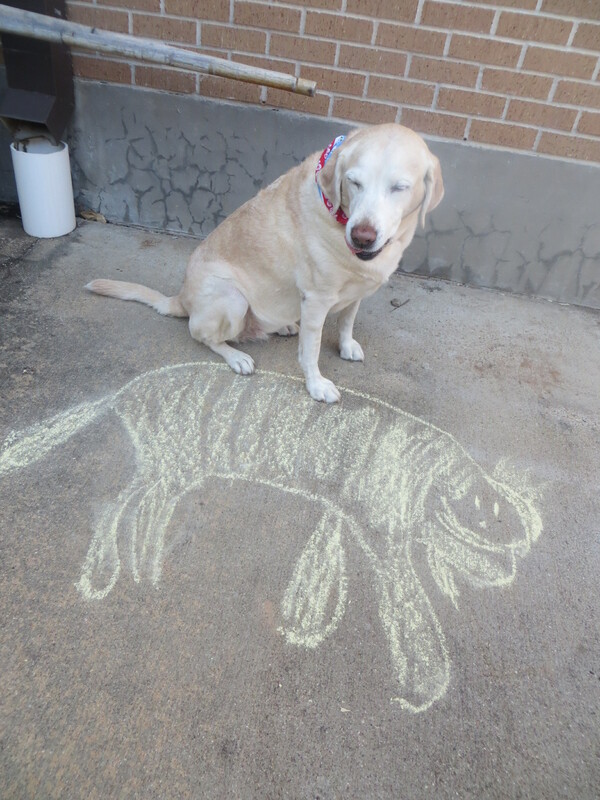 Looks like you had a great one, and you sure are photogenic 🙂 I also love the chalk drawings- especially the one with the tongue hanging out! Thanks Ms Trapani!! Birthdays are always a fun time! We have some very talented kids at our school. Happy Birthday, Rhythm! We have our own Tomato, Pea and Wintergreen too. We love them! Have a wonderful holiday! Thanks S&K!! 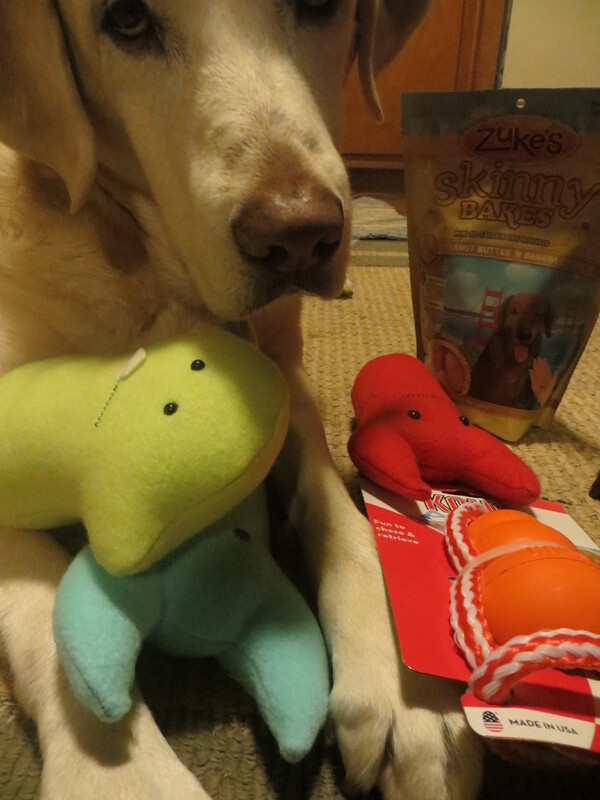 T,P&W are sure nice squishy stuffies. Who woulda thought by reading their story! Hope you have a bountiful holiday full of Joy! Those little guys are the best. 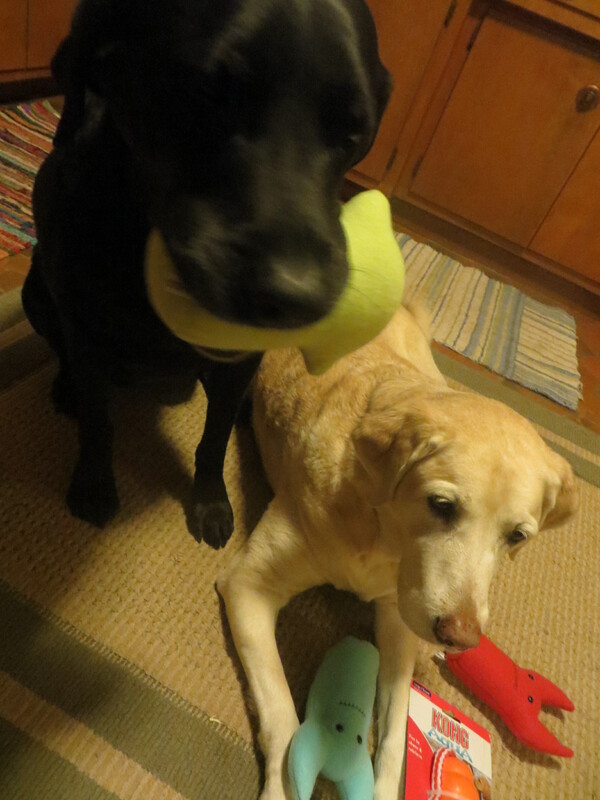 I’ve had a hard time retrieving Pea from Walker. He insists that they were made for each other. Have a good Christmas holiday!! Happy Birthday! What fun… especially the burgers and fries. Thanks Ms Heavenrich! We sucked those burgers right down! MMMMMMMMMM!! Happy Birthday Rhythm. Love those drawings of you by the kids. You are so patient — especially with food right in front of your nose. Loved the story. You and your mom have a wonderful Christmas holiday! Thanks Ms Tilton! We have some talented kids around here. Patience is my game. It has its rewards. Merry Christmas to you too! Aw bless! You guys are so cute. Happy birthday! So…this Dairy Queen character…am I right in assuming that she’s married to your Burger King? Or do they preside over different sovereignties? Thanks Mr Bruce! Well, Dairy Queen is on our side of town and is very dog friendly. The King rules the other side of town. We never go there. I did go once as a pup and they presented my with a crown to their kingdom. But the Queen has better fries. That’s good to know, in case I ever decide to journey to your neck of the woods. We don’t have Dairy Queens here, and the Burger King is referred to as Hungry Jacks. Probably because our actual Queen would consider it treasonous otherwise, or perhaps she just doesn’t want to be associated with fried food products. Hmmmm. A world without DQ. Sad. That’s good to know too. Happy Birthday to our most favorite twin! Burgers and fries, oh my!!! Yay you! Does Melvin get burgers and fries? I hope so. I get fries pretty often but rarely a burger to go with. What a super fun birthday! Burgers and fries! My mind is blown! 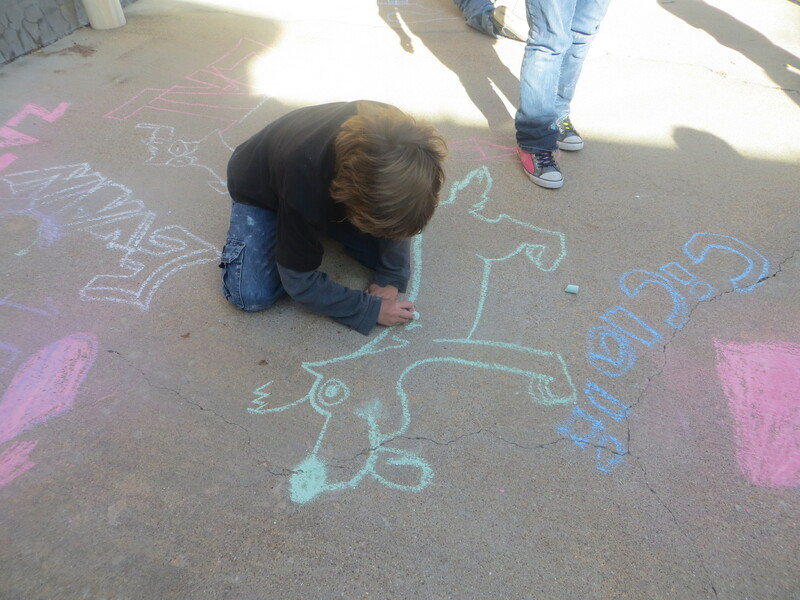 I love the chalk drawings that the kids did. They are artistic, and almost made you as handsome as you are in real life. Almost! It was truly a fun day! Do you get burgers and fries Cupcake? I’m doing a survey now. I get fries pretty often. After most work days. But I rarely get a burger. In fact, this was my 1st one all to myself! I have NEVER had a crumb of burger! Let alone a whole one to myself. I have had a French fry or two, now and then. 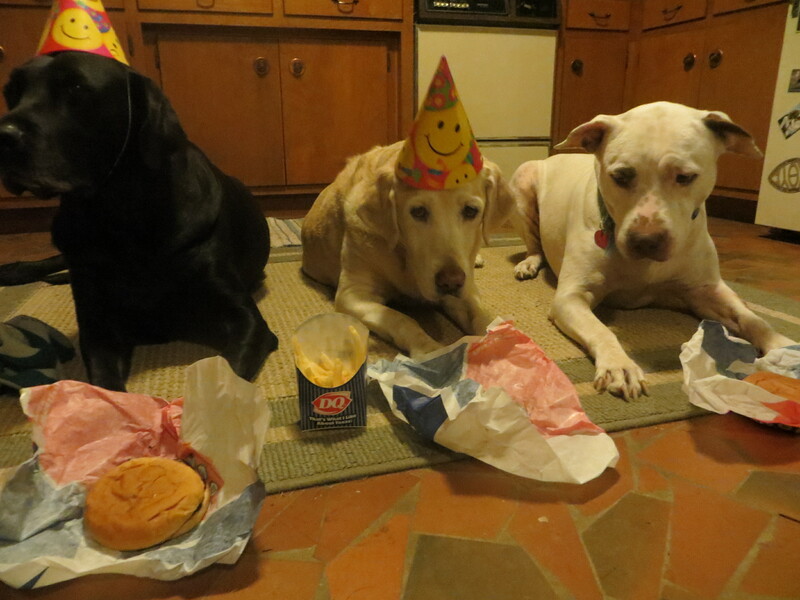 That birthday meal is my dream…..
from Pit & the four-legged gang! Hey! We’ve missed you Mr Pit! Hope you’re enjoying all your free time. Have a Very Merry Christmas!! What a serendipitous moment! Yes I did enjoy your book! 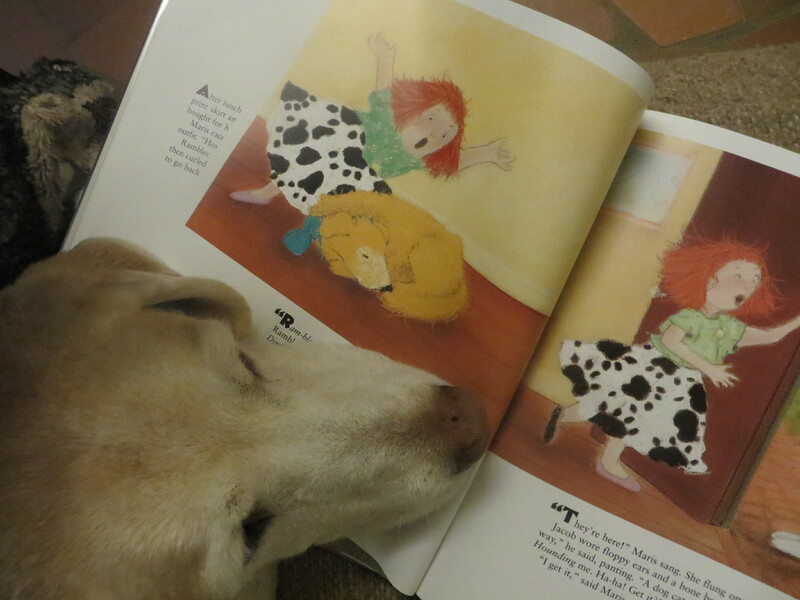 It was the perfect read for our birthday time. Thanks for visiting! Do come again!